Discover the hair stylist in you. 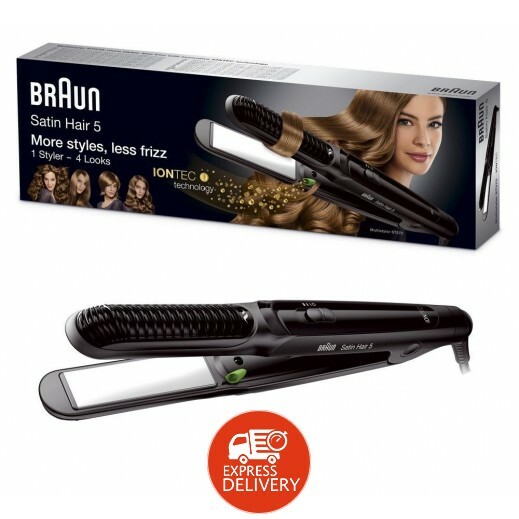 Braun Satin Hair 5 Multistyler makes styling curls as easily as smooth hair. Its revolutionary Curl Shaper Technology allows the gentle waves and styling perfectly formed curls in a train. Its edges are rounded off perfectly and 100% free of edges, which demonstrably prevents hair damage by tearing, tangling or breaking. 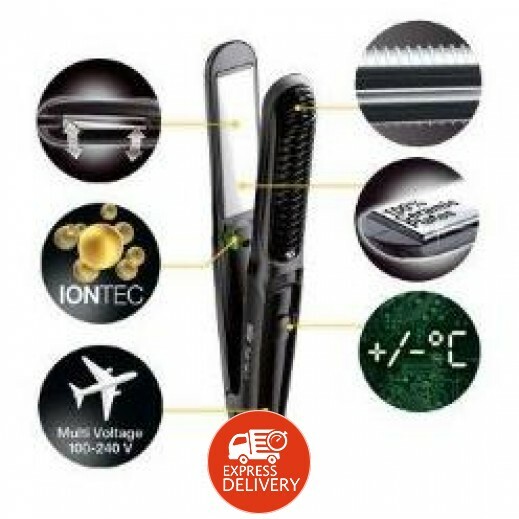 -IONTEC Technology: Superior ion technology to tame frizz and static charge of instantly supple hair. -Curl Shaper: power smooth the styling curls as easily as hair. 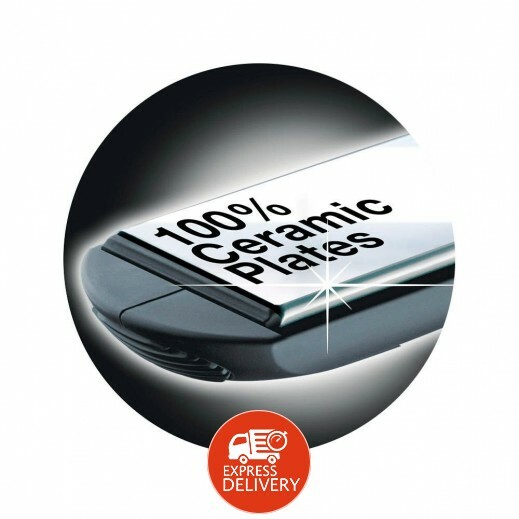 -100% anodized ceramic plates for smooth smoothing. -Unique movable plate adapts to individual strands of hair - for a quick and smooth styling. 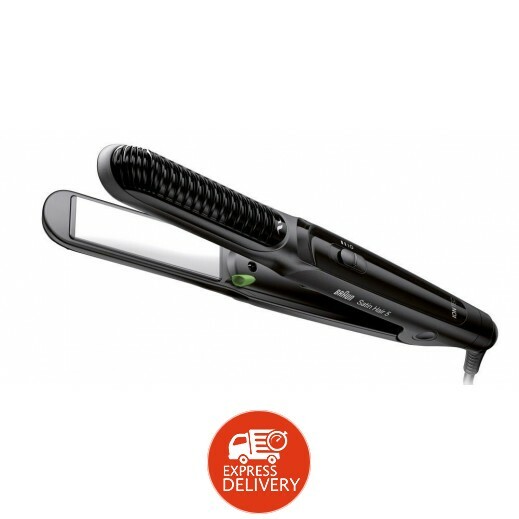 -Manual temperature control available for maximum styling control.